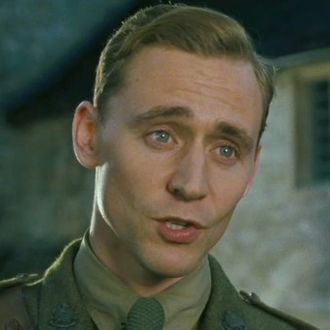 Who Has the Bluest Eyes in War Horse? One possibly apocryphal (yet delicious) story about the making of You’ve Got Mail had it that in order to preserve the cinematic power of Meg Ryan’s tousled Sally Hershberger hairdo, no other actresses or extras working on the film were allowed to sport blonde locks. 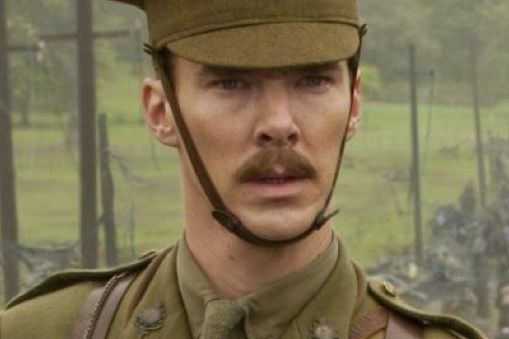 Whether true or not, it’s a bit of cinematic trickery that Steven Spielberg seems to have taken to heart while making War Horse, where virtually every actor in the movie is ostentatiously blue-eyed, all the better to emphasize those big brown eyes of Joey, the movie’s titular animal. In fact, Spielberg throws so much pupil-reducing key light at his actors’ faces in this film that you’d think he were lighting Anjelica Huston in The Addams Family! With all those big blue peepers on display, Vulture felt compelled to provide an analysis. Whose eyes were bluer, and what exactly did those wide eyes convey? 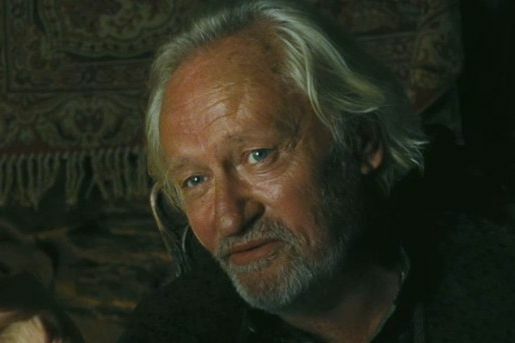 As the nearest thing to a human protagonist in this ensemble picture, Irvine’s also got the most opportunities for a blue-eyed close-up. He does not disappoint, seizing the chance to give Spielberg Face at every moment. What Do These Blue Eyes Convey? Dreamy innocence. In the upcoming Marvel movie The Avengers, Hiddleston’s Loki seeks to enslave Earth with his magical god-powers and extraterrestrial army. However, why bother with those meager weapons when he could simply use DEM EYES? Hiddleston’s pair of peepers is perhaps the most lavishly lit thing we’ve seen in a Spielberg movie since Kate Capshaw in Temple of Doom. What Do These Blue Eyes Convey? Clear-eyed British decency. It sure was nice of Spielberg’s longtime cinematographer Janusz Kaminiski to light everything in this scene the same hue as Watson’s cloudy-blue eyes. What Do These Blue Eyes Convey? 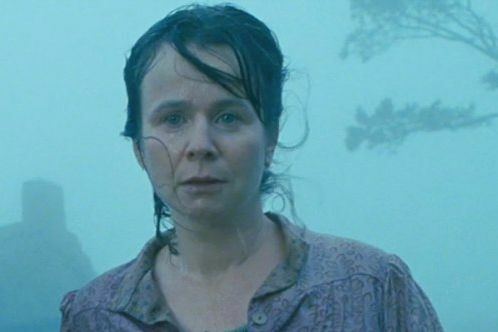 Noble, long-suffering Emily Watson–osity. Is it nighttime? Are we in a dark cottage that’s barely lit by candlelight? Who cares: Get a klieg light on this old man’s pretty cerulean orbs! What Do These Blue Eyes Convey? Fatigued but unbroken old-man spirit. 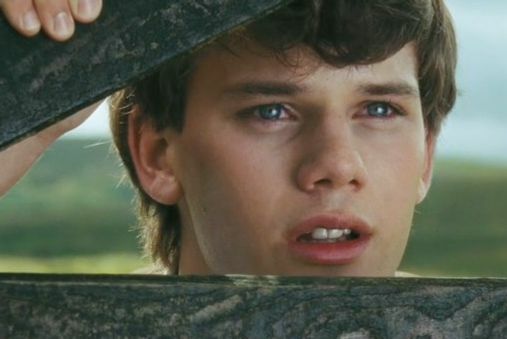 Perhaps there are child labor laws stating that you can’t shine set lights straight into a 10-year-old’s eyeballs; it would account for how Buckens is the only actor in the movie whose pupils aren’t reduced to mere pinpricks to better show off her eye color. As you can tell, she feels really bad about it. What Do These Blue Eyes Convey? Lachrymal overload. 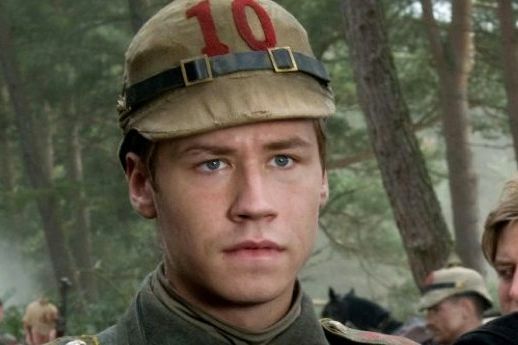 Both cross-eyed onscreen and at cross-purposes with his own German army, Kross provides the movie’s interlude behind enemy lines. And you’d better believe that an Aryan guy’s got blue eyes to spare. What Do These Blue Eyes Convey? Sympathy for good Germans. 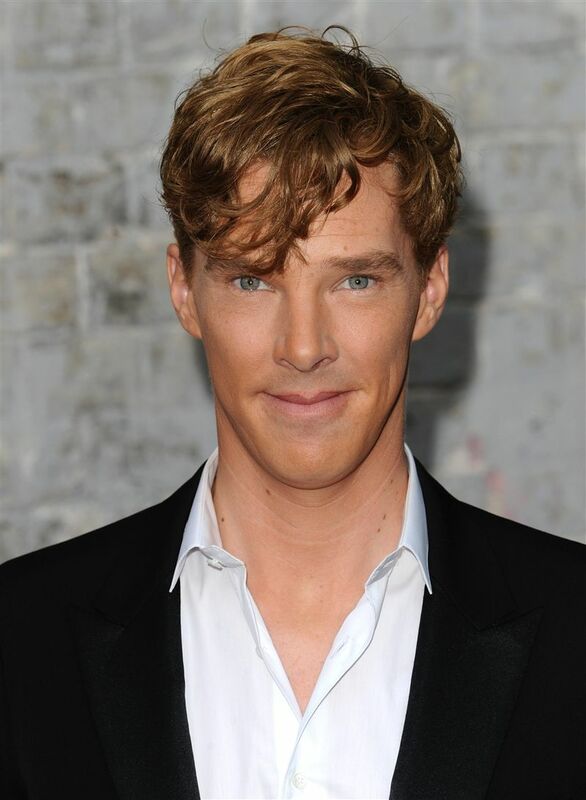 Okay, you can’t really see them in this picture, but trust us: Cumberbatch has blue eyes for days! 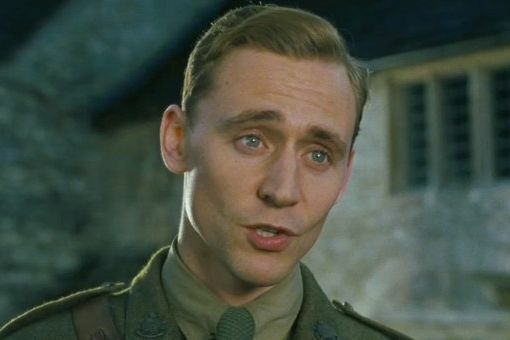 Still, out of all the stars in the movie, no one can top Hiddleston. Thanks for playing. What Do These Blue Eyes Convey? Squinty support designed not to pull focus from one’s mustache.